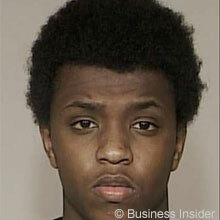 Minnesota-based Zacharia Yusuf Abdurahman is one of nine Somali-American men charged by the FBI with conspiring and attempting to provide material support to ISIS.Mike Levine, “Feds Arrest ‘Emir’ of ISIS-Related Recruitment Effort in Minnesota,” ABC 7 (Los Angeles), December 10, 2015, http://abc7.com/news/feds-arrest-emir-of-isis-related-recruitment-effort-in-minnesota/1117161/; “Six Minnesota Men Charged with Conspiracy to Provide Material Support to the Islamic State of Iraq and the Levant,” Federal Bureau of Investigation, April 20, 2015, https://www.fbi.gov/minneapolis/press-releases/2015/six-minnesota-men-charged-with-conspiracy-to-provide-material-support-to-the-islamic-state-of-iraq-and-the-levant. In November of 2014, authorities prevented Abdulrahman from boarding a plane at John F. Kennedy (JFK) International airport in his alleged effort to join the terror group.Scott Shane, “6 Minnesotans Held In Plot to Join ISIS,” New York Times, April 20, 2015, http://www.nytimes.com/2015/04/21/us/6-somali-americans-arrested-in-isis-recruiting-case.html?_r=0. He was arrested in April of 2015 in Minneapolis and charged with conspiring to provide material support to ISIS.Scott Shane, “6 Minnesotans Held In Plot to Join ISIS,” New York Times, April 20, 2015, http://www.nytimes.com/2015/04/21/us/6-somali-americans-arrested-in-isis-recruiting-case.html?_r=0. Abdurahman pled guilty in September of 2015.U.S. Department of Justice, “Minnesota Man Pleads Guilty to Conspiracy to Provide Material Support to ISIL,” FBI, September 17, 2015, https://www.fbi.gov/contact-us/field-offices/minneapolis/news/press-releases/minnesota-man-pleads-guilty-to-conspiracy-to-provide-material-support-to-isil. The Somali-American men are believed to be self-radicalized, having discussed ISIS and its ideology in informal gatherings, including playing basketball. A key figure in the group of men is Abdiwali Nur, who allegedly successfully left for Syria in May 2014.Scott Shane, “6 Minnesotans Held In Plot to Join ISIS,” New York Times, April 20, 2015, http://www.nytimes.com/2015/04/21/us/6-somali-americans-arrested-in-isis-recruiting-case.html?_r=0. Authorities now believe that Nur is dead.Laura Yuen, “3 of 9 Twin Cities men sentenced in ISIS conspiracy trial,” MPR News, November 14, 2016, https://www.mprnews.org/story/2016/11/14/first-day-of-sentencing-isis-trial. Abdurahman did not cooperate with authorities while in custody. On November 14, 2016, he was sentenced to 10 years in prison with 20 years of supervised release. During his sentencing, Abdurahman reportedly broke down in tears and spoke of how he had been bullied for being a Muslim. He said that ISIS’s ideology represented a “hug” for the pain and isolation he felt. He apologized to his family, but, when asked why he didn’t cooperate with authorities by sharing information about his co-conspirators, told the court that “[Islam] teaches you not to harm another brother.”Laura Yuen, “3 of 9 Twin Cities men sentenced in ISIS conspiracy trial,” MPR News, November 14, 2016, https://www.mprnews.org/story/2016/11/14/first-day-of-sentencing-isis-trial; Associated Press, “Cooperation Results in Light Sentences in Islamic State Case,” New York Times, November 14, 2016, http://www.nytimes.com/aponline/2016/11/14/us/ap-us-islamic-state-americans-minnesota.html?_r=1.